The Weekly Fourcast is a curated series of recommended podcasts from Jaybird athletes, ambassadors and employees. Each week, we’ll drop a new list of shows and episodes that you need to hear, direct from the Jaybird crew—the perfect audio fuel for your next run, ride or workout. For the latest installment of the Weekly Fourcast, we caught up with Kayla Nolan, the Executive Director of the Girls Gotta Run Foundation. As a kid, Kayla played a lot of different sports. Her mother was a runner, and Kayla would often ride her bike alongside her mom on her daily runs. In middle school, she found the track was a good place to get away from bullies, and she began running laps as a way to pass the time there. This led her to running in high school, college, and eventually in Ethiopia, where she began her work with the Girls Gotta Run Foundation. Since then Kayla has split her time between the States and Ethiopia and devoted herself to the GGRF mission—to use Ethiopia’s national sport of running to create safe spaces, expand education and empower young Ethiopian women and their communities. In honor of International Women’s Day, we’ve set out to provide all 155 members of Girls Gotta Run with a new pair of running shoes and a running outfit. Every $75 we raise provides one girl with a full running kit—join us in helping empower and create a brighter future for Ethiopian women. Check out Run Wild, Track 06: Elevate to learn more about GGRF and find out how you can join Jaybird in raising awareness of these amazing young women, celebrating their strength, and supporting their cause. While living in Ethiopia, I would listen to the Rich Roll Podcast for a more holistic look at the latest on health, sport, and psychology. 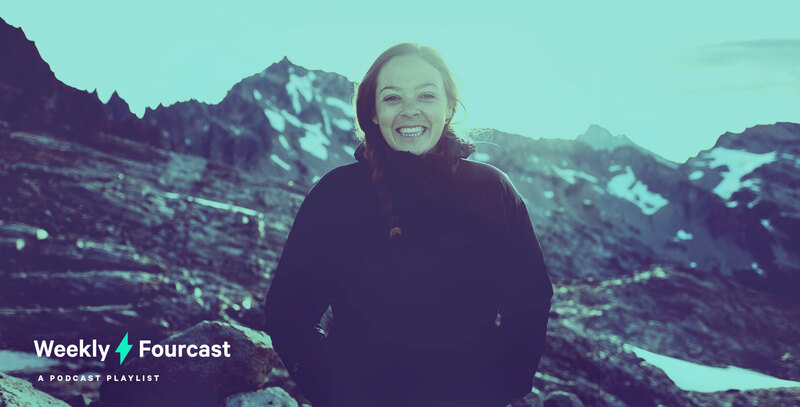 In this episode, Lindsey does a deep dive into the challenges she’s experienced on the road to being the most decorated skier – man or woman – in US history. She talks about coming to terms with her depression and understanding what she needs to move through periods of depression. Her honesty about her journey and the sacrifices she made throughout her life are eye opening and inspiring. How I Built This is fantastic because it’s the behind the scenes story that you often don’t hear about – the ups and downs of delivering on a vision. This Burton episode with Jake is fascinating, particularly when he discusses how “bro culture” nearly ended the company. In it’s rebirth, they mandated the integration of women at all levels of leadership to usher in a new era of business. This shift internally also impacted their capacity to reach a growing number of women involved in snowboarding as the sport continued to grow alongside Burton. Wesley Morris and Jenna Wortham – winning combination. Still Processing brings a fresh take on pop culture discussions, giving greater cultural context to current affairs in film, art, and music. Loved this episode focused on Michelle Obama’s book, “Becoming.” The discussion ranges from the impact of having a woman like Michelle Obama on the global stage, to the radical transparency she brings to the pressure cooker that is being a mother and a professional, to the significance of non-fiction works written by and for black women. In honor of International Women’s Day, a TED Radio Hour Episode looking at the ripple effects of the #MeToo Movement and where we go from here. What does International Women’s Day and Girls Gotta Run mean to you? Girls Gotta Run Foundation is a way to celebrate International Women’s Day every day. International Women’s Day provides a platform and occasion to recognize the challenges, experiences, and accomplishments of women. The ways women experience social, economic, and political marginalization year-round. The unique dangers they face around domestic violence, maternal mortality, mental health, and beyond. It’s also a time to celebrate the enormous contribution that women have made historically and continue to make. At Girls Gotta Run Foundation, we have the privilege of working alongside women and girls year-round to invest in their capacity to design a life of their choosing.